If you don’t watch Simpson’s re-runs or live near a nuclear power plant, you may not think about nuclear energy much. Trendy solar panels and wind turbines overshadow our old friend the nuclear power plant, a technology that has been around for almost 70 years. Perhaps nuclear energy has a stigma that is tough to shake. Many people remember Chernobyl or Three Mile Island, and the recent Fukushima accident may have rekindled fears of a major nuclear fallout. 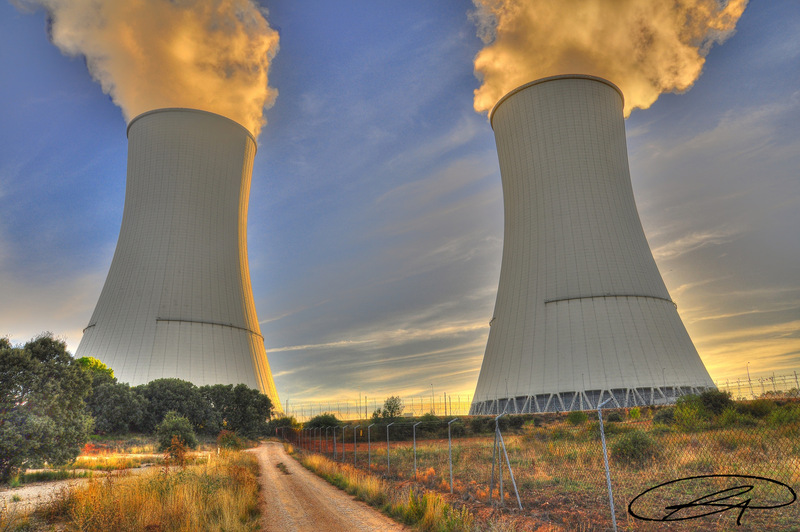 While people may not be talking about it much, nuclear energy is not taking the back burner. China, for instance, has recently built 30 new reactors and 20 more are under construction. Nuclear power has always provided huge benefits, and the more technology advances, the safer it becomes. Agencies around the world have been making progress in many aspects of nuclear energy, including fuel sourcing and improved safety. Whether you are learning about nuclear energy for the first time, or revisiting the concept, here are five advantages of nuclear energy that just can’t be ignored. The nuclear reactors currently operating in the U.S. have avoided 64 billion metric tons of greenhouse gas pollution, as estimated by James Hansen of Columbia University. Since these reactors are currently providing 20 percent of U.S. power, growth in nuclear power could have a tremendous reduction in greenhouse gases. Yes, nuclear power produces some greenhouse gases. When uranium is enriched to make nuclear power fuel, some additional greenhouse gases are produced. Construction of nuclear power plants also requires fossil fuels. Manufacturing of steel and cement carries with it a carbon footprint. That said, nuclear power still comes out on par with other climate-friendly energy sources. 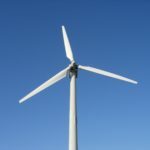 A nuclear power plant will produce about 12 grams of CO2-equivalent per kilowatt-hour of electricity produced, similar to wind turbines and less than photovoltaic cells, according to the U.S. Department of Energy’s National Renewable Energy Laboratory. Burning coal is just about the worst thing we can do for our air quality besides going back to burning timber 24/7. Coal-fired power plants spew a wide range of unhealthy chemicals into the air, including sulfur dioxide, nitrogen oxides, mercury, particulate matter, and other pollutants. More nuclear energy would mean that electric cars would run on a clean power source. When you plug in your electric vehicle into the grid, at best, you are pulling about a fraction of electricity from clean energy sources. The rest of the electricity is from coal, with similar air quality impacts compared to gasoline in the grand scheme of things. The construction of nuclear power plants, the production of fuel, and the transport of waste does produce some air pollutants. The generation of power from nuclear energy does not impact air quality, and overall, nuclear power provides a much cleaner source of energy compared to fossil fuels. Nuclear power plants require water reservoirs, and these lakes can double as recreational areas for the public. Reservoirs often provide opportunities for boating and fishing, and local governments have established parks along the shores of these lakes. Providing recreation opportunities near the power plants can help ease public concerns about safety. Trust in technology sometimes requires an up close and personal experience. Cooling towers rising above the trees at a park may seem ominous at first. Several trips later, they may become a landmark of pride in the community, a source of awe in technology, or a little bit of both. Safety standards and technology continue to reduce the risk of accidents at nuclear power plants. The International Nuclear Events Scale (INES). The most severe accident on the INES is a level 7, and there’s only been one of these, ever. You guessed it, that was Chernobyl in 1986 in Ukraine. The most severe accident in the U.S. was Three Mile Island in 1979, which was a Level 5. The most recent accident globally was Fukushima – also a Level 5. The Guardian reported in 2011 that a total of 6 accidents have occurred in the U.S. (all minor and unrated except for Three Mile Island). Five accidents have occurred in Japan, and the UK and Russia have each experience three. Long story short, after Chernobyl, many people feared that the frequency and severity of nuclear accidents would continue or increase. That has not been the case, and let’s be honest – nuclear power plants are definitely near the bottom of any “major global hazards” list. We won’t run out of nuclear fuel any time soon. The supply of nuclear fuel is a moving target. The readily available fuel would last about 230 years at current consumption rates according to the Nuclear Energy Agency (NEA). That’s not the end of the story by far. As outlined by a 2009 Scientific American article, multiple technologies could come together in the future and provide enough fuel to last tens of thousands of years. So why doesn’t every community have a nuclear power plant? Well, nuclear power plants come with a hefty price tag. In countries with strict regulations, they also require a long permitting process. All part of the improved safety net, of course. Public perceptions play a role, and trust in the technology has been limited given the accidents that have occurred within the past 30 years. Improved technology and continual improvements are helping to improve safety and ease fears. In reality, the industry has grown to support 440 nuclear reactors around the world. These reactors operate in 31 countries and provide 390,000 MWe of total possible energy production. Given the advantages, nuclear energy production will continue grow and offer a low-carbon, clean air alternative to fossil fuels.